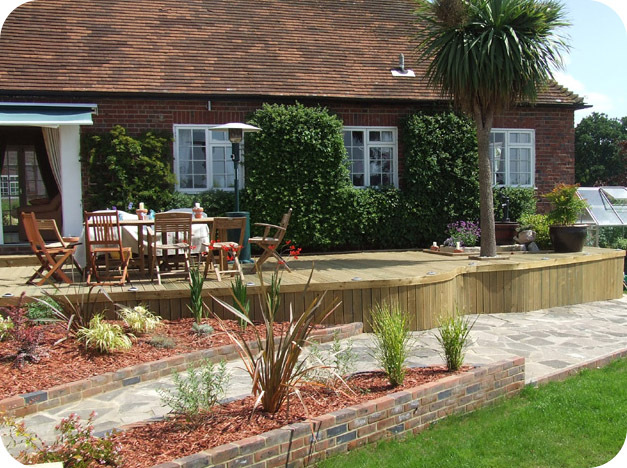 Sue Newman Landscapes based in Bordon and serving Hampshire, Surrey and West Sussex. 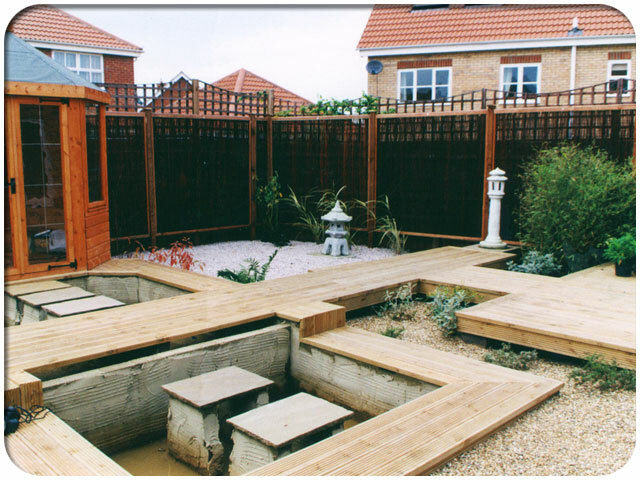 Timber Decking Services. Timber decking can suit every position and contour of a garden and provide the perfect indoor-outdoor living flow to add to a sense of more space in your home. By selecting the correct wood, decking can be a low-maintenance feature that is able to withstand the English climate for many years of enjoyment. Why not utilise that boring slope or difficult area in the garden to create a useable terrace to enjoy throughout all the seasons? We have years of experience of building safe, dependable and standards-compliant decks in most environments. We can advise on whether Planning Permission will be required (in most cases it is not) and help in the process where it is. 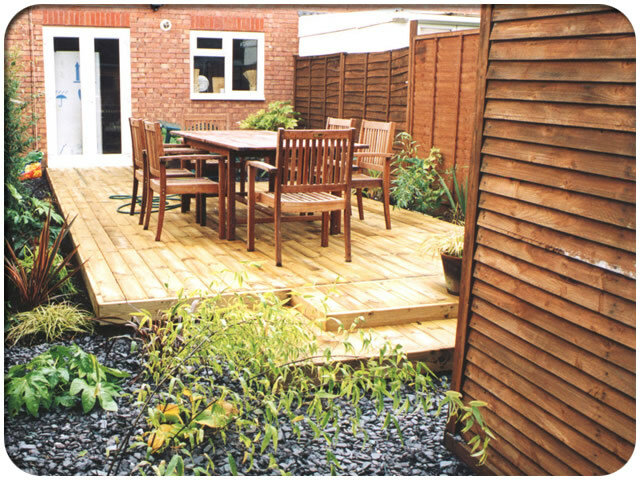 Our's is a complete decking service - from concept to sign-off. Wooden decking can also be used indoors, for example in summerhouses or saunas. Whatever your plans we can advise on the most suitable hard wood for your project, all of which is grown and sourced from managed forests. 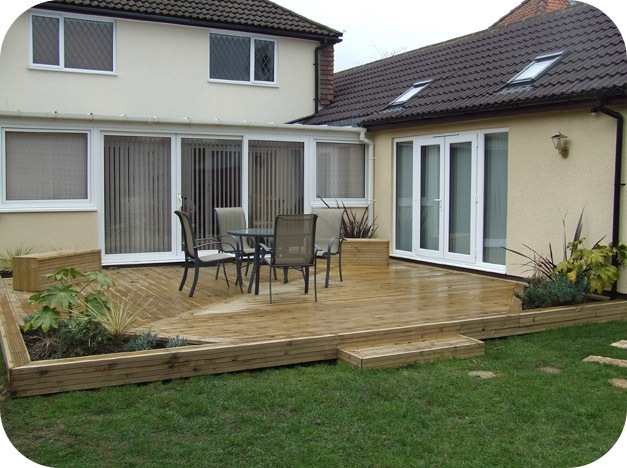 Contact Sue Newman for a no-obligation chat about your new decking.